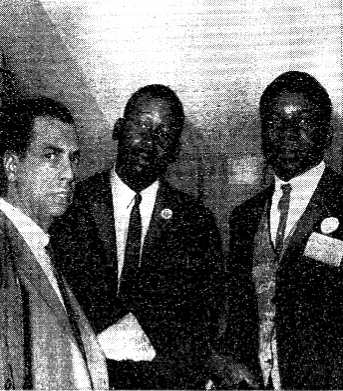 This is a 1964 photo of (left to right) Queens CORE chairman George Kaufman, Bronx CORE chairman Herb Callender and Brooklyn CORE chairman Isiah Brunson taken right before the World's Fair Stall-In. All three chapters, along with Harlem CORE, supported the Stall-In. 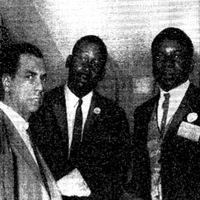 “photo of NYC CORE chairmen George Kaufman, Herb Callender and Isiah Brunson,” corenyc.org, accessed April 21, 2019, http://www.corenyc.org/omeka/items/show/154.